Cool Winter Birthday Parties at Wheels! 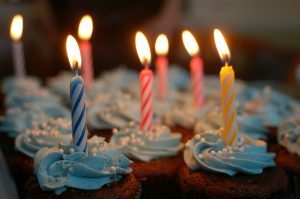 With all the activities (and sometimes chaos) of the holiday season, it’s easy to overlook the other important celebrations: winter birthdays! Don’t let your child feel left out or overshadowed because their birthday falls during this busy time. Here are some tips to plan a winter birthday party from Wheels Skate Center. Outsource. You’re tired, you’re stressed, your house is in chaos. Don’t add to the insanity! Host a party at Wheels Skate Center and we do the work for you. Not only do we provide food, drinks, tableware, and activities, but your party package comes with a Party Host or Hostess to keep things running on schedule and handle the setup and cleanup. You’ll be free to worry about the rest of the party etiquette or–call us crazy–to relax and enjoy the party! Be Flexible. Remember that you may need to pick a day for a party that isn’t your child’s actual birthday. Consider a small family celebration the day of and then have a party for friends later, when it’s more convenient. Start Early. Give yourself and your guests plenty of time to plan for this extra event and everyone will have more fun. Don’t Combine Presents! Remember: you should never combine Christmas and birthday presents for children born around the holidays. This is an expensive time of year, it’s true, but each celebration should have a specific gift, or your child may feel like their birthday was just tacked onto the holiday season. Make sure that grandparents, aunts and uncles, etc. know this family policy as well. With a little extra effort, a winter birthday party can be just as special as a summer party. Contact Wheels Skate Center today and let’s start planning!